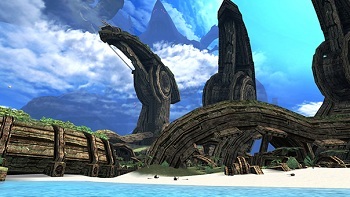 Two highly-anticipated Wii RPGs will arrive in Europe in 2012, but Americans may miss out. It's good news/bad news time. The good news: The Last Story and Pandora's Tower, two Wii RPGs with a large cult following, have been confirmed for an English-language release in 2012. The bad news: An American release for the titles remains elusive. The European localization of these games is largely a response to an extremely vocal fan campaign called Operation Rainfall, which began back in June. Their goal is to see the Western release of three highly-anticipated Japanese RPGs for the Wii: Xenoblade (already confirmed for an August 19 release in the PAL regions), The Last Story, and Pandora's Tower. Now, the remaining two games will join Xenoblade in the Old World (and Australia), but American fans will have to hold tight. According to Reggie Fils-Aime (President and COO of Nintendo of America) during an interview with IGN, "We will be watching very closely what happens in Europe ... Certainly if there are business opportunities and positive consumer uptake from some of those titles, that will be great data for us to consider as we look at what to do with these titles." Operation Rainfall should be commended for swaying the opinion of a corporate giant like Nintendo, but their work is not done yet. At this point, the games' European sales are probably the only thing standing between them and the shores of the Americas. European fans, take note: Whether these games see an American release or not is likely in your hands.